An agenda is really important to bring order and discipline in life. It could be a weekly agenda template or a daily one and offers a complete schedule of what is to be done and that too when – in sequential manner. A simple agenda does not go into much details and just state the time and name of the task to be performed. The creative agenda templates come in word doc file format which is easy to download and use. 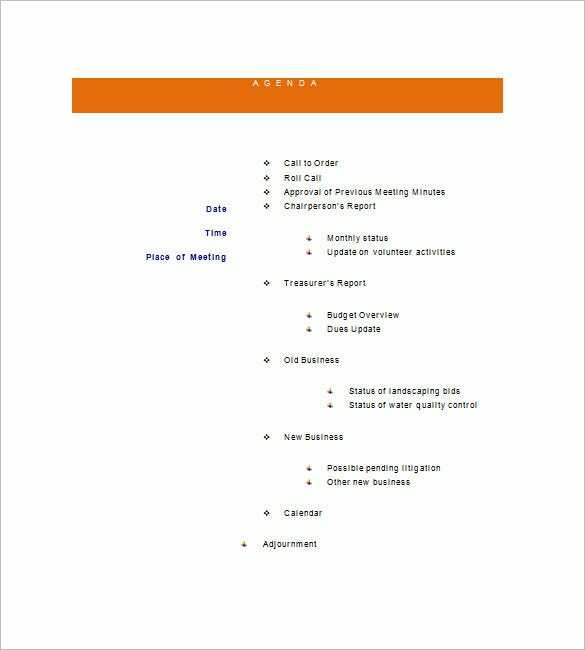 It provides you with the format of drafting an agenda which includes contents like call to order, roll call, chairperson’s report and more along while highlighting date, time and place of meeting. 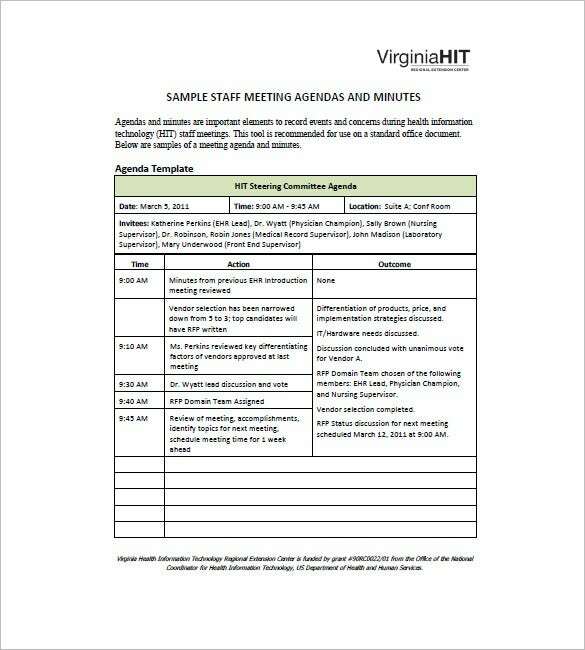 vhitrec.org | The free agenda template features sample staff meeting agendas and minutes. This sample is well framed and provides all prominent information in a well organized manner. Information like date, time, location and name of invitees is showcased on top in separate columns. A table is provided for depicting time, action and outcome of the meeting. ofzenandcomputing.com | The daily agenda template is specially designed for drafting the daily agenda. 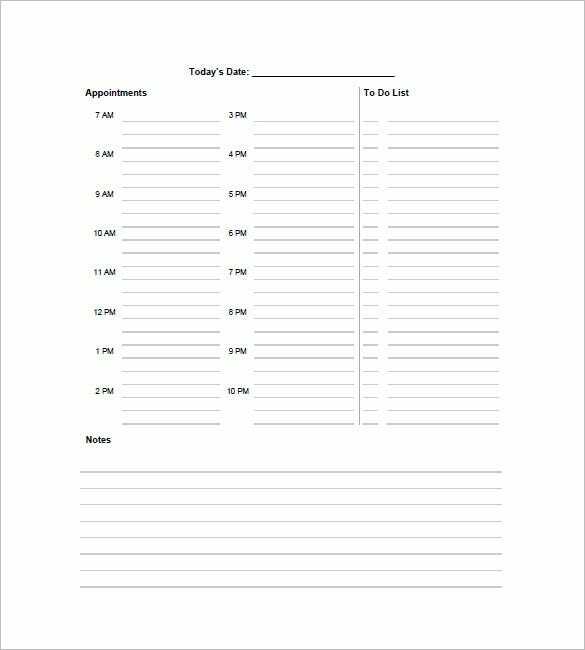 You can easily draft the daily agenda with the help of this template as it has column for writing about all the appointments you are having along with their timing. It has designated space for writing the date to make it easier for you to recognize which day the schedule belongs to. Also, additional space is provided for making the to-do list and notes in it. usgs.gov | The simple agenda template features a well drafted agenda format which is easy to use. It depicts all prominent information like date, time, duration and more along with the table having columns for writing topic/ item, time allocated, topic leader and objective. A agenda template offers a ready made agenda structure to you so that you don’t need to create anything from start. The agenda will help to stay aligned to the track and prevent unmindful miss out on any activity. 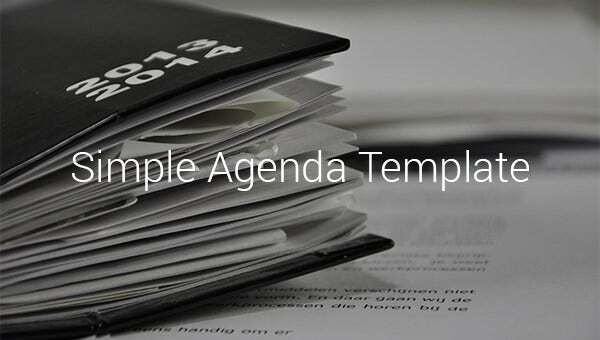 > Why is the Simple Agenda Template Needed? 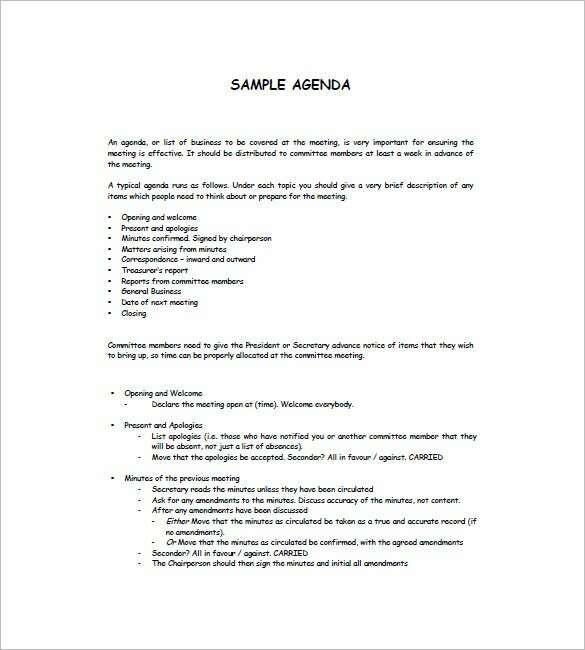 The simple agenda template is needed to draft the agenda in order to help you in doing tasks effectively. These templates help you in enlisting all required details about your tasks which are to be done and draft a proper schedule of them. Information like time of the task and name of task are provided in it, sometimes even a little description of them as well for making it convenient. These templates are needed to draft these agendas in a simple way which is easy to follow and draft. Also, they are needed to minimize your time and efforts while drafting by providing you with readymade format. > When is the Simple Agenda Template Needed? The simple agenda templates are needed to arrange the tasks which are to be done by you in order. These templates provide you with formats that actually help you in organizing tasks in sequence according to their time. These templates are needed at the time of various occasions like conference, daily appointments, meetings and more. It is also needed when you want quick results as with the formats provided to you, you can easily draft agendas without taking much time. You are just required to fill in the details asked and it’s ready. There are various benefits of the Simple Agenda Template like it helps you in drafting effective agendas without taking much time. Properly drafted agendas proves to be really helpful in effectively utilizing your time as it plans things to be done in order for you. All these templates are well formatted and therefore, help you in including all required information in it without missing out any. 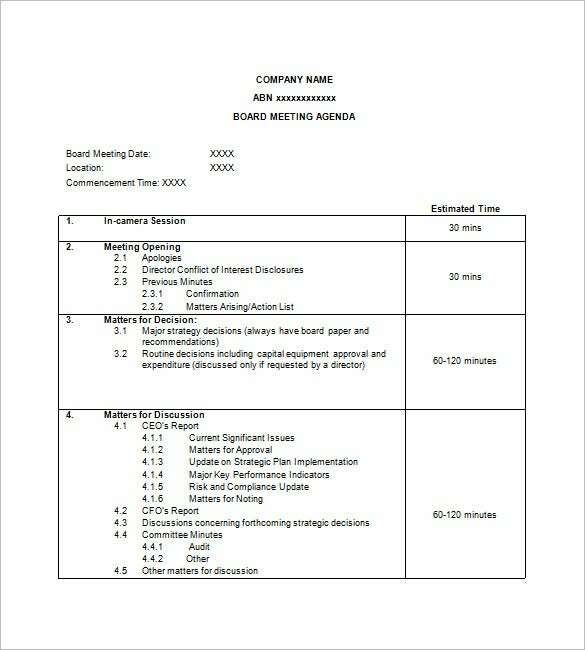 With the help of these templates, you can draft the agendas without any hassle and be on schedule always. Also, these are fully editable which makes them even easy to use. 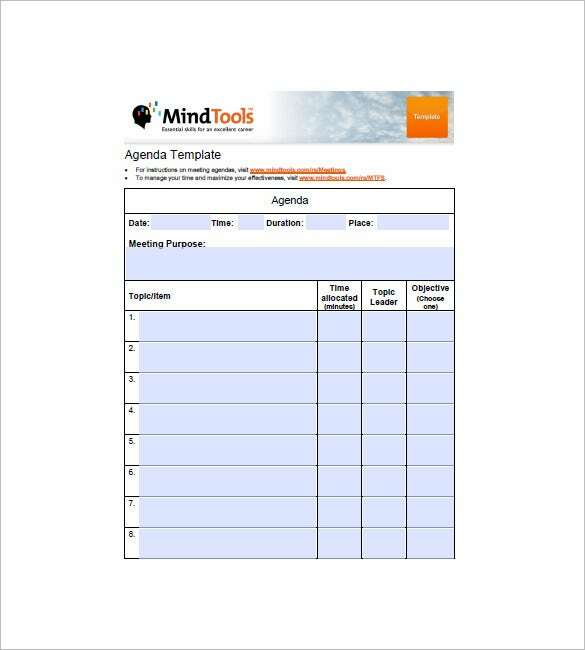 The simple agenda template is very easy to download and comes with user-friendly interface which makes it easy to use as well. There are also various options available in it for you so that you choose the best suitable one. 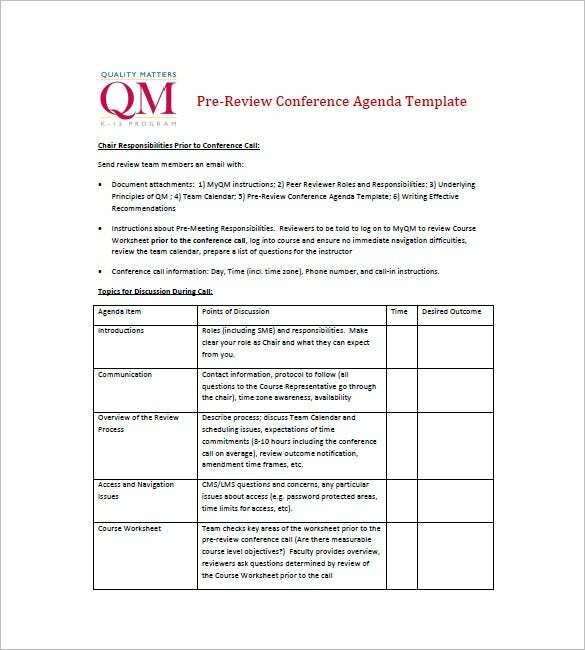 Downloading these templates make it really convenient to draft the agendas which aim at providing you with effective outcomes. If you have any DMCA issues on this post, please contact us!